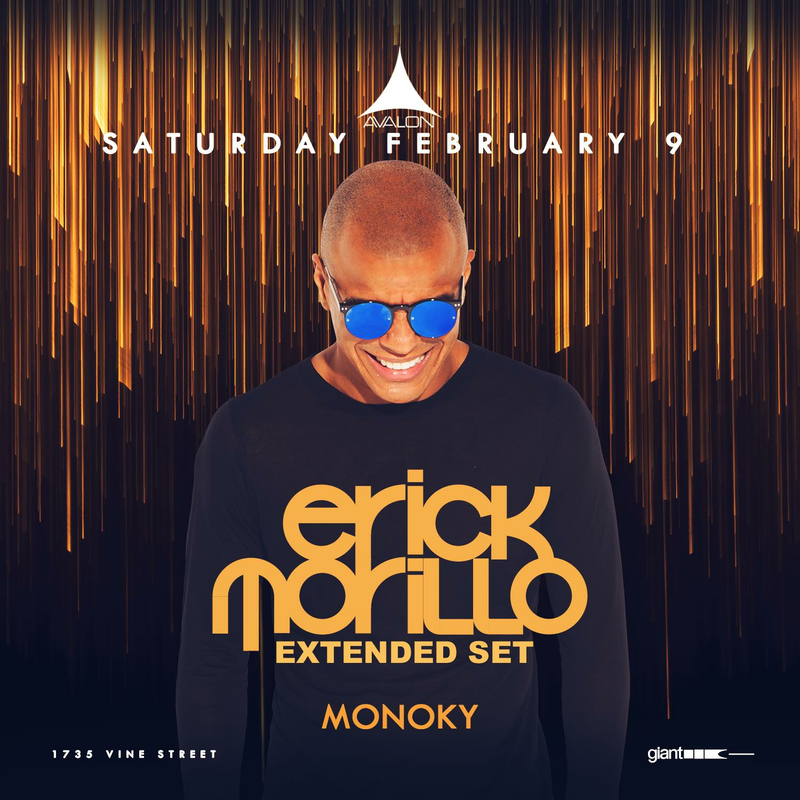 Saturday, February 9th, Erick Morillo is returning to AVALON’s stage for another extended set. Morillo is synonymous with house music. The Colombian-born, New Jersey raised industry veteran has enjoyed decades of success. Praised for his unparalleled workhouse mentality, Erick Morillo has toured extensively throughout his career, sometimes playing up to 30 gigs in a month while producing dance-floor smashing tracks and running multiple successful record labels. Along with his touring career, Erick Morillo is a platinum-selling artist who has spearheaded productions such as Real 2 Real’s “I Like To Move It”, Ministers De La Funk’s “Reach”, and Lil Mo Ying Yang’s “I Feel Love” have gained him worldwide recognition. In the past decade, he’s remixed top artists like Whitney Houston and Basement Jaxx, as well as collaborated with stars like Puff Daddy and Boy George. His legendary imprint Subliminal Records and associated parties, Subliminal Sessions, are globally esteemed as he as he rung in blends of latin, reggae, and hip hop rhythms into a singular sound of house music to his parties in New York, Ibiza, Mykonos, Rome, and London. Join Avalon on February 9th for another edition of extended tunes by one of dance music's legendary figureheads. Erick Morillo possesses strong ties within all spectrums of electronic music. This show is going to be a must-see.